The purposes of this study were to determine the anthropometric, physiological and performance characteristics of elite and sub-elite canoe slalom athletes and to determine the relationship between these characteristics and performance in selection races for the Olympic Games in Rio de Janeiro 2016. Eighteen male single-canoe (C1) slalom athletes (20.9±5.1yr) performed a battery of tests including anthropometric parameters and somatotypes, upper-body anaerobic power (Wingate test), maximal muscular strength (bench-press, bench-pull, handgrip dynamometry), aerobic power (treadmill running test), and specific on-water tests (40m and 200m sprints with spins). Additionally, Spearman’s correlation were conducted and multiple regression analysis was used to determine the relationship between the results of on-water tests and the final race rankings. Canoe slalom athletes were 180.6±4.1cm tall and 74.4±4.6kg with an ectomorphic mesomorph somatotype (1.6-4.9-2.8). They are further characterized by a treadmill VO2max of 62.7±3.0ml∙kg∙min-1 and high values of anaerobic upper-body peak power (9.4±1.1W∙kg-1) and mean power (7.4±0.7W∙kg1). Their bench-press 1 repetition maximum (1RM) was 95±15kg, bench-pull 1RM was 93±9.5kg, and handgrip strength was 49.3±7.5kg. Race performance was significantly correlated (p<0.01) with bench-press 1RM (rs=0.60), normalized upper-body peak and mean anaerobic power (rs=0.57), and on-water tests (rs=0.62 to 0.85). By multiple regression analysis, it was possible to predict race ranking based on water performance tests (R2=0.78; SEE=2.75). The results of this study can assist coaches, and trainers in racionalization of training programmes for canoe slalom athletes. Busta, J., Tufano, J. J., Suchý, J., & Bílý, M. (2018). Anthropometric, physiological and performance profiles of elite and sub-elite canoe slalom athletes. 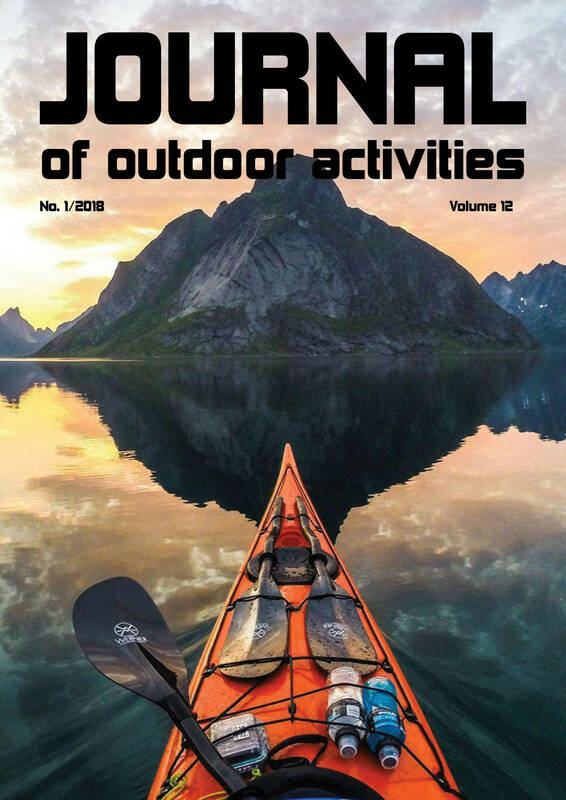 Journal of Outdoor Activities, 12(1), 9–17.